Over the last several months, we’ve had many primary care sports medicine physician fellows and medical residents come through our facility to learn about PT. We have some great relationships with some primary care sports medicine and primary care physicians that believe in what we do and send their students here. Primary care physicians will be the first to tell you that they just don’t get a lot of physical therapy or musculoskeletal examination/treatment. Those poor folks have to know a little about a lot of things. They may see a common cold, a ligament tear, and cancer all in the same day. We spend our time with them sharing “physical therapy” things they are likely to see on the “front line” in their office and what to do about them. So, here’s the top 10 things we’d like to share with medical students/residents and/or primary care physicians about diagnoses we commonly see from primary care physicians. 1. Shoulder pain can be disguised as neck pain. We regularly receive scripts from physicians that say “shoulder pain, evaluate and treat”, but the shoulder has little to do with their complaints. We suggest screening the neck first. If the neck screen reproduces their shoulder pain, chances are the neck is the source. Additionally, if they have radiating pain past the elbow, even if they have shoulder pain, the neck is likely the culprit. Along those same lines, postural exercises, thoracic spine mobilization, and deep cervical flexor strengthening along with education are a great recipe for success in patients suffering from shoulder pain resulting from neck pathology. 2a. Not all tendinopathies are the same. Some people have true, inflammatory tendinitis, while others have non-inflammatory, degenerative tendinosis. They aren’t likely to respond to NSAID’s or injections. They need to be treated differently in physical therapy too. 2b. Eccentric exercise is a promising, non-surgical intervention to treat tendinopathies of the Achilles, patellar tendon, and “tennis elbow.” We get remarkable results after only a few visits. You should request that the physical therapist do eccentric exercise for it. That’s not the only treatment for them, but definitely needs to be in the treatment plan. 3. Knee meniscus tears. The genesis of meniscus tears in the knee is due to weight-bearing, torsional movements, like twisting. Signs and symptoms include catching/locking/giving way, pain with squatting, pain going UPstairs, joint line tenderness, inability to flex or extend knee (fragment may be lodged in joint), and possibly an effusion. We have sent numerous patients back to their doctor because these get missed. 4. For people with general knee pain, address the proximal hip muscles – gluteals and hip external rotators. It’s not just about quad sets and straight leg raises anymore. Many studies, seemingly every month, come out and link hip weakness to knee problems. Hip strengthening should be a part of a comprehensive program for treating general knee pain. Young or old, active or inactive, it’s an important addition to a program. 5. Headaches can be helped by physical therapy. Over-medicating headaches doesn’t always work, particularly those that are cervicogenic in nature. Headaches brought on by posture, end of the work day, stress, or certain positions are definitely ones that can be helped with physical therapy. Headache pain from migraines can even be reduced with physical therapy. Most physical therapy for this involves posture exercises, ergonomics education, scapular strengthening exercises, and most importantly, mobilizations to the cervical and thoracic spines. There are many referred pain patterns from the upper cervical spine that radiate to the head and neck, let alone from the scalene muscles and the sternocleidomastoid muscle. 6. Sciatica can be treated very effectively by postural education, stretching, “nerve glides,” core stabilization, and hip strengthening. These patients don’t need injections right away. Seriously, we’ve treated patients before with years of sciatica in 3 treatments. Physical therapy can really help these patients. 7. Carpal tunnel isn’t always just in the wrist. See #1 above. Many people that have pain in the carpal tunnel have the source of it in the neck. A cervical screen will help, but a physical therapist can try some nerve tension tests as well as postural exercises and thoracic/cervical mobilizations to see if that alleviates their complaints. Unfortunately, many people have carpal tunnel release surgery and experience little relief – possibly because they have cervical pathology as the root cause. Furthermore, many of these patients have trigger points in their neck and subscapularis that can reproduce their pain in the carpal tunnel. It should just take a few visits with a skilled physical therapist to determine this. 8. In people with ankle sprains, please have patients use an assistive device of some kind prior to “cutting them loose” to walk with a limp. It just causes more problems in the kinetic chain and it prolongs their pain. As a side note, make sure those folks also do proximal hip strengthening. It may shock you, but there are studies that have shown immediate changes in gluteal activity following an ankle sprain. The glutes give the ankle a stable base to operate on. 9. In patients with low back or sacroiliac pain, the problem may not be in the back. Several studies have found the link between hip pathology and either SIJ pain or low back pain. In patients who have had MRI’s and injections with little success, a physical therapist can help determine if the reason lies in the hip. Additionally, the efficacy of MRI’s, surgeries, and injections for the low back are continually being questioned in the literature, but the one consistently positive treatment is physical therapy. 10. Modalities are misused and abused and frankly, there is little evidence supporting them. 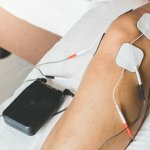 Recently, CMS said they were no longer going to pay for TENS units for pain – we don’t really have a problem with that because well, they’re a short-term fix (now for those reading this that swear by them, this is definitely a situation where effectiveness v. efficacy comes into question). Ultrasound is also misused and abused – it used to be a panacea to fix everything from muscle aches to a flat tire. There IS good evidence however for low intensity pulsed ultrasound to help fractures and some evidence has come out recently to help with ligament healing. Electrical stimulation, laser, ice/heat – all are “touchy feely” and can take the edge off, but that’s about it. Neuromuscular electrical muscle stimulation (NMES) can help increase quad function or to increase muscle activity for foot drop for example. Also, iontophoresis can be helpful for truly acute inflammatory conditions. Phonophoresis, however (using ultrasound to deliver medicine transdermally), has little evidence supporting it. We hope this post was helpful for all the primary care physicians, residents, and medical students. 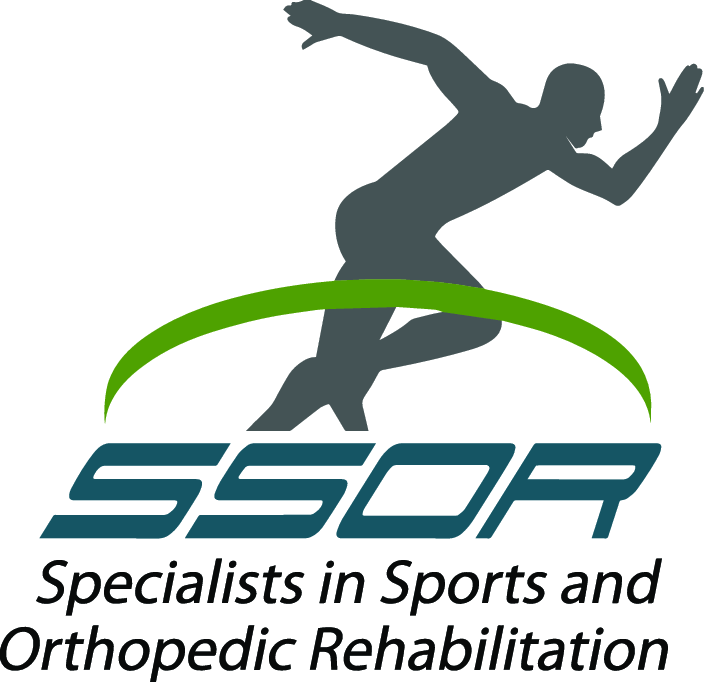 The physical therapists at SSOR understand the mechanics of the various pathologies we see and are experts in musculoskeletal examination. Thanks for visiting!